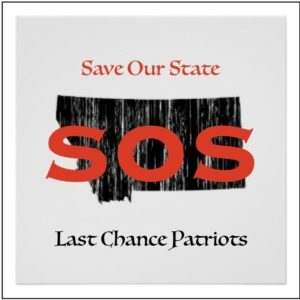 How can we support Last Chance Patriots? There are several ways to support our effort. We’re always looking for help with promotion, events, researchers, and people who will work to spread the word and grow our network. And there is always the issue of money. You can donate directly here on our website or mail your donation directly to our address listed under our Contact information. Please let us know if you can help! Why the Doom & Gloom name? We get that a lot. It’s simple. Without the election of Donald Trump, America would be speeding down the road to Socialism and worse. We are in the fight for our Republic and it is the last chance for Patriots. Aren’t you just another hate group? According to the Montana Human Rights Council and the Southern Poverty Law Center, we are. However, nothing we share, no speakers we sponsor and nothing we’re involved in has anything to do with hate. We’re about truth, which today, is considered hate. Do you have membership and dues? We do not. We take donations but there are no dues or other charges. We seek only to gather followers who are willing to share the information and events we provide in an effort to educate their fellow citizens. It is imperative we open the closed eyes around us to the dire state America finds itself right now. Why are you so against refugees? We are not against refugees. We are against the process used by our government today. Since 1970 refugee resettlement has become big business. See our position on the issue here. Why are you so against Muslims? You promote anti-Muslim speakers. We have nothing against individual Muslims any more than we do anyone else. We do have a major issue with Islam. It is a totalitarian ideology that has no place in Montana, America or any free nation on earth. You can see our position on Islam by clicking here.